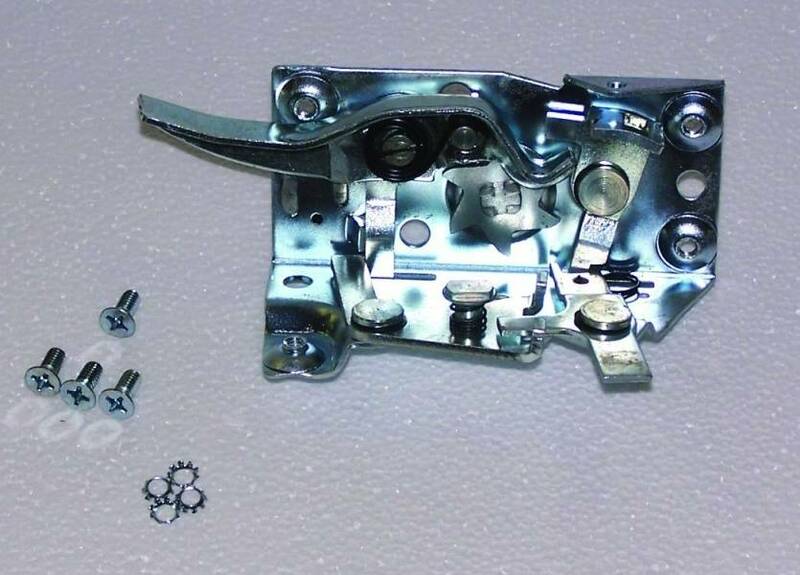 all door latch assemblies on the market today are not equal. Please take a look at Sy's detailed explanation of the differences. Note that we only sell the correct ones and tap the screw holes here so they too are correct. If you are having difficulty aligning a latch the dovetail may be installed incorrectly, give us a call for help. Trouble with this item opening the door is sometimes the adjustment on the outside door handle plunger bolt. It is adjusted by removing the door handle, un-screwing or tightening the bolt by adjusting the nut. 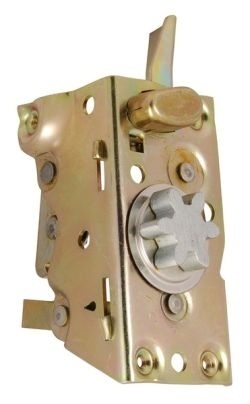 Longer will open the latch a little quicker and farther, shorter will let the door latch if it is not engaging. Lefts are gold in color, rights are silver. Original latches used 12-24 flat head screws. 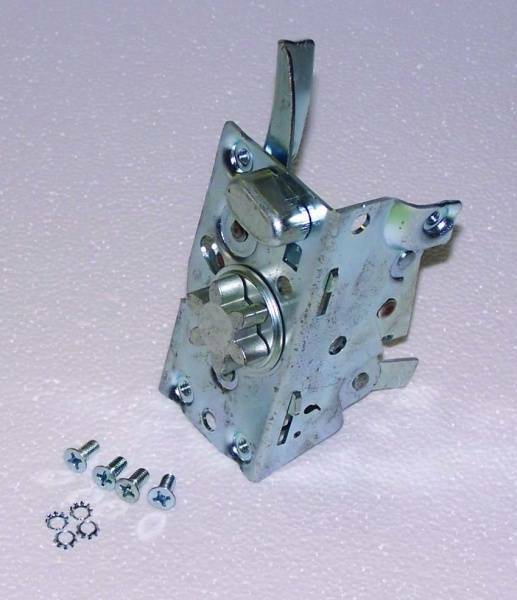 Reproduction Latches use 10-32 or metric screws. If you get them from us they are 10-32, if you get them elsewhere they may be metric.